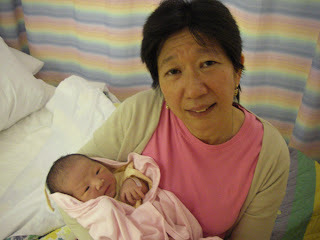 Since Natalie's birth, we've had tremendous support from our moms (Gramma Tong and Gramma Wang) and our families. Not only have the moms been living with us and helping with diapers, bath-time, and overall care for Natalie, but they've also been cooking up a storm (yummy homecooking... deeeee-lish! ), and keeping us from spiraling into a house of dirty diapers and chaos. 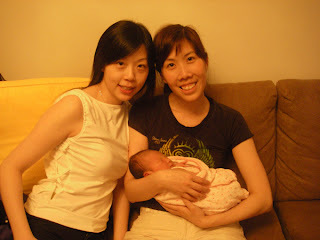 Also, (auntie) Lisa, and (cousin) Vanessa have been over almost everyday, chilling, helping out, and keeping us company. Despite having to work, (Auntie) Carol has also been over to help out alot. 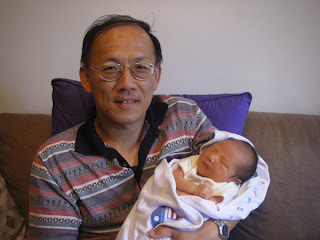 This week, we also have Grampa Wang and (uncle) Alex as visitors. It's been a full house and it's been great having everyone over and supporting us through the first few weeks (and months!). 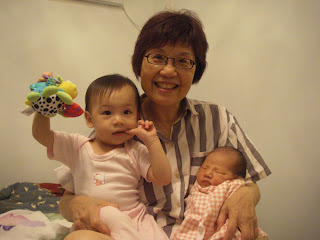 Gramma Tong with her grandchildren Vanessa and Natalie. 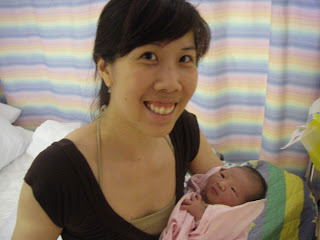 Auntie Carol and Auntie Lisa share a cuddle with Natalie. 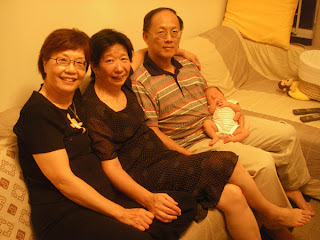 Proud grandparents Gramma Tong, Gramma Wang, and Grampa Wang. 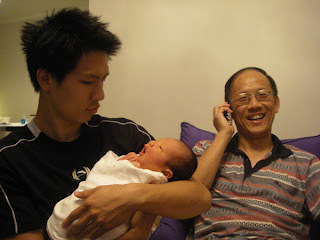 Uncle Alex making faces with Natalie, and Grampa Wang. 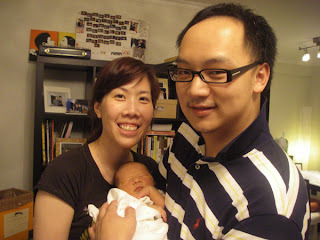 Lisa Yee-Yee and Dennis Yee-Jurn with Natalie.